A communications researcher in Switzerland has made a few errors in his efforts to communicate his research. Peter J. Schulz, who works at the University of Lugano, has lost a paper which did not “appropriately acknowledge” another paper as its primary source. He has also corrected a paper with “severe shortcomings in the references.” Both papers were published in the journal Argumentation. In addition, he is facing allegations that a book chapter contains some unattributed material. I regret very much the severe shortcomings in the three publications. This article has been retracted by the Editor-in-Chief, because it does not appropriately acknowledge publication Adrian Vermeule, Judging Under Uncertainty: An Institutional Theory of Legal Interpretation(Cambridge, MA, Harvard University Press, 2006), as the primary source of the comments made in the article. It was brought to our attention that the paper “Arguing ‘for’ the Patient: Informed Consent and Strategic Maneuvering in Doctor–Patient Interaction,” co-authored by Peter J. Schulz and Sara Rubinelli and published in Argumentation 22 (2008), pp. 423–432, has certain severe shortcomings in the references. For this reason, we have decided to ask the authors to prepare a new version of the paper in which these shortcomings have been remedied. The new version of the paper is published here—Frans H. van Eemeren, Editor-in-Chief. Both the retraction and erratum follow prompts to the journal from Michael V. Dougherty, a philosopher at Ohio Dominican University, and a blogger at Thomistica.net who has alerted us to other instances of plagiarism. …a portion of the concluding paragraph of Peter Schulz’s chapter on Byzantine philosophy appears to abbreviate, without attribution, the concluding paragraph of the chapter titled “The Plato-Aristotle Controversy” in John Monfasani’s George of Trebizond: A Biography and a Study of His Rhetoric and Logic (Leiden, 1976). Should the anticipated success of this collection warrant that the publisher produce a second edition in the future, additional documentation in Schulz’s chapter would ameliorate the present reviewer’s concerns. I regret very much the severe shortcomings in the three publications. In the case of “Arguing ‘for’ the Patient: Informed Consent and Strategic Maneuvering in Doctor–Patient Interaction”, together with my co-author we have remedied the shortcoming in a republication of the paper, which will soon appear in the same journal Argumentation. Also, we sent an apologize note to the authors of the papers, which we have not properly quoted. In the second case (“Comments on ‘Strategic Manoeuvring with the Intention of the Legislator in the Justification of Judicial Decisions’”), I have withdrawn the comment. This short comment does mention several times the book which I used (Vermeule, A. 2006. Judging under uncertainty); and there is only this book which I used. There are several longer quotation from this book in my comment, which I put in quotation marks. But there is also the one or other sentence where quotation marks are missing (but from the context it is clear that I refer to Vermeule), and this is a mistake. The third case is indeed another severe mistake. In this case, I still will write a note to the author, John Monfasani, apologizing and asking whether he agrees that I will add a proper note to the text. I also will have to check whether there are other ways to remediate this shortcoming. 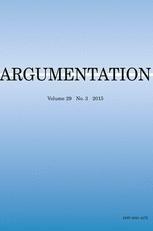 We contacted the editor of Argumentation for more details. We’ll update this post if we hear back.